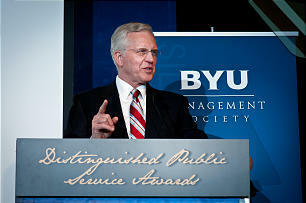 The San Francisco Bay Area chapters of the BYU Management Society awarded the 2011 Distinguished Public Service Award to Elder D. Todd Christofferson of the Quorum of the Twelve for his business and ecclesiastical leadership. At the awards ceremony, held Oct. 21,. the chapter also recognized its 2011 scholarship recipients. 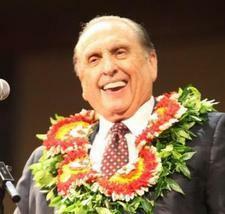 The award and scholarships reflect the society's commitment to growing moral and ethical leadership throughout the world. 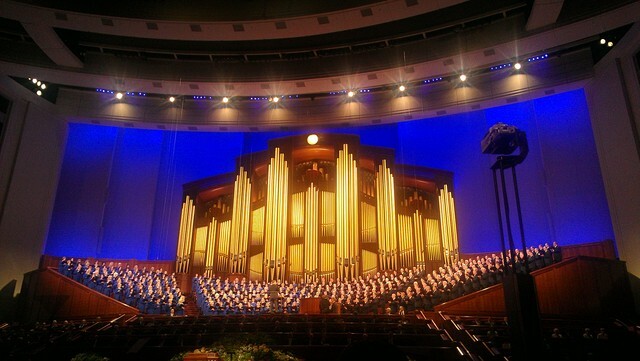 After receiving the award, Elder Christofferson spoke about the necessity of a moral foundation for a free society and the vital role that religion provides in establishing that moral foundation.